Nikonians Contest coordinator David Summers (dm1dave) has announced the latest segment winner in our Best of Nikonians 2016 Contest. Congratulations to Henning Bossen (henbo) from Denmark for his winning image in the Fourth Segment of the Best of Nikonians 2016. The theme was "Places" and Henning's winning entry was titled Alpe di Siusi at sunrise. It was captured with his Nikon D3. 2- Gary Shackelford (redbuffalo), from Wisconsin, USA with his image titled Arctic fogbow. 3- Kathy Cavallaro (Cavy2), from Pennsylvania, USA with her image titled Sunrise Portland Headlight. 4- William McEwen (Wolfgang55), from Connecticut, USA with his image titled Hartford. 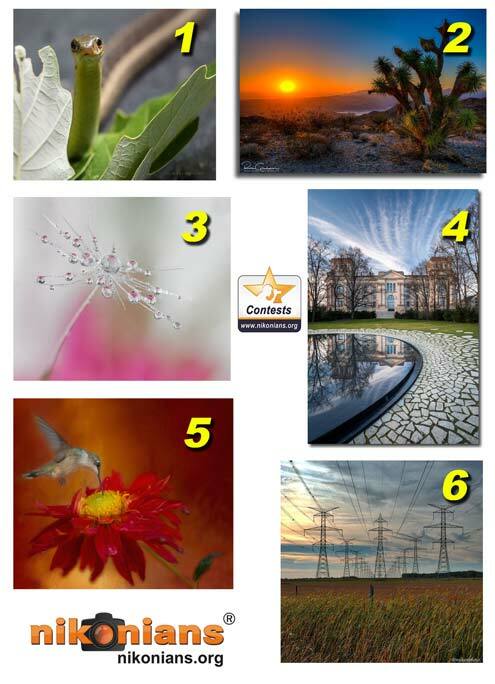 5- Jeff Holdgate (Escaladieu) from France with his image titled France. 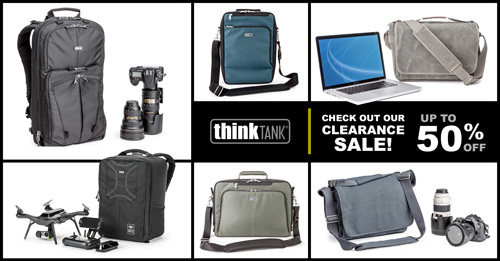 Second, through December 31st whenever you buy a Think Tank rolling camera bag you will receive a Road Warrior Kit for free. The Road Warrior Kit features 10 Red Whips cable ties, a Cable Management 10 pouch, an AA Battery Holder and a Travel Pouch. That's $54.50 worth of accessories free. And don't forget, with our Nikonians special relationship with Think Tank you will also receive a free gift and free shipping when you use this special URL. The latest in Darrell Young's "Mastering" series books is ready for download. The three eBook formats of Mastering the Nikon D500 are now available as a bundle from Rocky Nook. The printed book will be shipping within the next few weeks. Darrell's traditional method for sharing with the Nikonians community is to invite members to submit photos to be used as full page Chapter Opening images. All members who have an image included in the book will receive a free copy of Mastering the Nikon D500 and be listed in a special Credits for Chapter Opening Images section of the book, with information mentioned under tech specs. The image was taken in Alligator River Park in NE North Carolina. 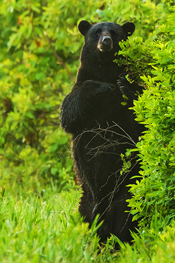 The area has an abundance of black bears. Many are quite shy, but this big boy was not disturbed by my presence and, in fact, walked ever closer until he stood straight up to scratch his back and then stared right at me. What a privilege to be in his presence and what a gift to have a camera like the D500 that allowed me to capture many images hand held in early morning low light. 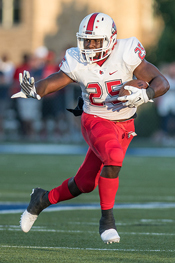 This football image captured a Colerain High School running back bracing for impact. It caught my attention during post processing because it bears a striking resemblance to the pose of the Heisman Trophy, which is awarded yearly to the most outstanding player in college football. 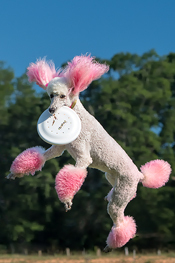 Jolene is a standard poodle competing in a qualifier for a national competition. I used Manual Exposure Mode because the background composition changed rapidly although the light was constant. Using f/4 gave me shallow depth of field, and 1/1250s froze the action, allowing ISO 280 for correct exposure. I used short bursts of 3-6 frames to capture the dog catching the disc. Jolene is a great subject. The D500 was perfect for this kind of action due to the excellent AF, fast frame rate, and large buffer. I used a 64 GB Lexar 2933 XQD card to maximize speed. I took this image in "Wakodahatchee Wetlands" in Delray Beach, Florida, USA. This area is known for nesting waterfowl native to South Florida. The sun was getting close to the horizon providing beautiful warm light, when I spotted this pair of nesting Blue Herons in a tree about 50 yards away. 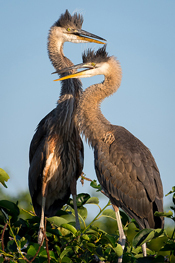 They had donned their mating plumage and were demonstrating their ritual "courtship dance." The sun was behind me and the birds were beautifully lit-- their eyes were glowing yellow. I hand held the camera, focused on their eyes, and took a few bursts of shots. I was absolutely thrilled with the quality of this image. Even at ISO 10000, there was virtually no noise. I made this image on a late April morning on the Colorado College campus in Colorado Springs, CO. 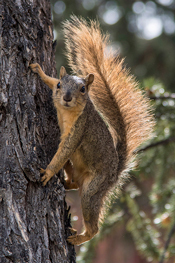 I was testing out my new D500 with my 24-120 f/4 lens and thought the numerous friendly Western Gray Squirrels on campus would make good wildlife test subjects for the D500. This individual ran up the tree and I was attracted to the beautiful morning sun backlight on his tail and his intent look. 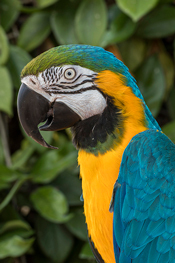 Our 25-year-old Blue and Gold macaw named Kiwi sits for a portrait in the backyard. I placed him in open shade with a Hoya plant as background and used a RRS tripod and ball head owing to slow shutter speed. Kiwi is naturally inquisitive and friendly and I just kept firing until I got a few shots I liked. This photo was taken in a communal garden behind the home I was renting in Philadelphia in summer, 2016. I was lucky enough to capture the flower in full bloom. 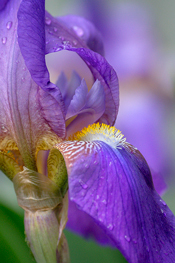 The Genus/species name of the flower is: Iris sibirica, commonly known as Siberian iris or Siberian flag. 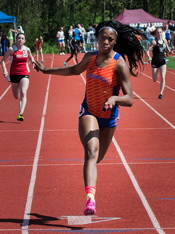 This was shot at the Greater Hartford Invitational Track and Field Meet held in Simsbury, CT. This event was the Girls 4x100 relay. I was positioned at the end of the final straightaway and fired a burst as the winner approached the finish line. The D500 nailed the focus on every shot in the 10 frame sequence. 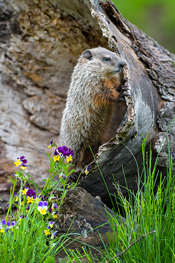 I captured this handsome woodchuck near my Minnesota home as he paused briefly outside his hollow log den on a hot, overcast June day. I put the D500 through its paces that weekend and this image shows that the D500's sensor performs very well at higher ISO's. 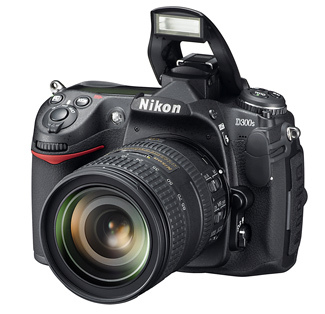 The color rendition is very good, easily besting its predecessor, the D300. 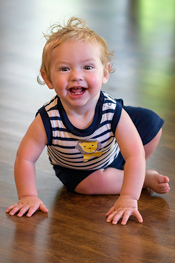 This is a picture of my grandson and was taken in my great room with natural light and no flash. The D500's white balance nailed the color in the shot, making it very easy to capture an image with correct skin tones. I took this photograph below the Conowingo Dam on the Susquehanna River in MD, at the top of the Chesapeake Bay. The "Dam" is well known worldwide not only the resident Bald Eagles but also for the fall/winter influx of the many birds that migrate here each year. 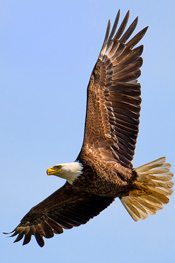 The prime time for photographing eagles here is usually around Thanksgiving; however, this shot was taken on April 25th. The D500's autofocus tracking during continuous high speed shooting has drastically improved my success rate. 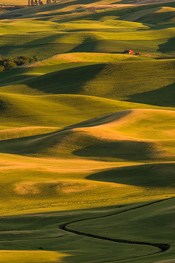 In eastern Washington state right on the Idaho border there are some amazing agricultural areas full of rolling hills called the Palouse Country. The hills "come alive" in very early or very late light. I took this picture during the transition of the wheat fields from green to gold in mid-summer. There are a few elevated areas where you can see these great vistas. Even though the photo is a scenic, I utilized my 70-200 with a 1.4X to really compress the vast distance you are seeing. 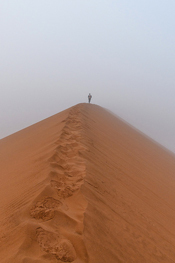 Early morning hike up Big Daddy Dune in Sossusvlei area of Namibia in Namib-Naukluft National Park. We were the first ones up the dune and that made for some difficult hiking. It was a cold morning and we were initially disappointed to not have the sun, but the fog made for much more interesting photos. Nikonians in the USA looking for Holiday bargains have a refurbished deal available from Nikon USA. 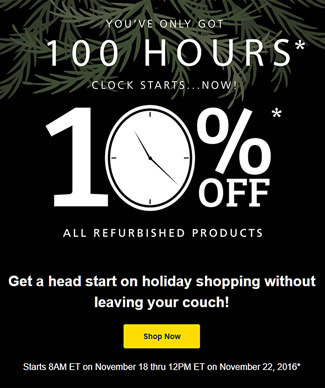 Called the 100-hour sale, the clock has already started. Note the asterisk next to the "10%" graphic. Valid November 18, 2016 at 8:00 A.M. ET through November 22, 2016 at 12:00 P.M. ET. Offer valid only in the 50 United States and the District of Columbia. Offer not valid on previous purchases. Void where prohibited by law. The Nikon Lens Instant Savings special is still running. 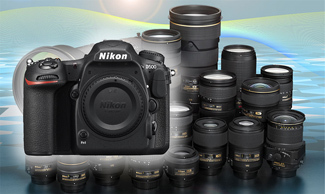 Looking to add a brand new Nikon to your inventory? As a cost-saving measure, perhaps you might want to look at some of the older models still available on various markets (including our own I Want to Buy and I Want to Sell forums). Take the Nikon D300s for example. I bought my 12mp D300s back in 2011. Right from the start, the thing performed like a pro. I'd come from Olys E-series cameras, where the AF effectively made photos of fast movers a really difficult thing to do. When I got my D300s, (£1000 with grip included) I was absolutely good to go. It did every single thing that it promised and made my Oly E-3 Look exactly like the fraud that it was. Fast forward to today, and I'm sure the D300s is relatively old hat, but has my camera ever glitched, or let me down? Even when getting dragged under fences, dropped on the desert, banged off raggedy bits of old airplane? Nope. Do I look at my 300s pics and wish I'd more resolution? Sometimes- but only for 'spot the dot' types of pics. This is one great camera. Mine is still my normal telephoto camera, and while I wish for the same quality, with 36mp, there's nothing wrong with it at all. Equally interesting as Simon's testimonial are the like-minded responses, some with outstanding images as proof that the age of a good camera is not as important as the artistic creativity of the Nikonian behind the viewfinder. A reminder to our friends in the Astrophotography forum. Our moon will be coming so close to Earth on Monday night (November 14) that it promises to be much larger in the night sky, and up to 30% brighter. The full moon of November 14 is not only the closest full moon of 2016 but also the closest full moon to date in the 21st century. The full moon won't come this close to Earth again until November 25, 2034. This astro-show by our moon makes for excellent opportunities to take images like the one we have illustrating this article. It was captured by Silver member Arlon Motsch (arlon), from Texas, USA in July, 2014 with his Nikon D800E and a 600mm lens (boosted by a 2x teleconverter). If astrophotography is one of your interests, check your local weather, hope for the best and train your eyes to the skies on the evening of November 14. And make sure you share your best images here. Photo-Tip: If you are not interested in astrophotography-style "shooting the moon" you may have a favorite nighttime cityscape or landscape in mind that would benefit from an extra-large moon in the sky above it. 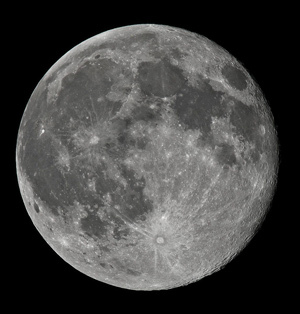 Your next chance to capture the moon this close will be in 18 years (November 25, 2034). Silver member Bob Stanton (bobnd1) from Illinois, USA asks a question that many of us have seen in various forms for over 15 years. He's got a new Nikon in mind, and is now researching lens options. The basic question may be familiar, but as technology improves and Nikon keeps pumping out new cameras and lenses, Bob's "old" question becomes a whole new topic. Add the fact that we are constantly welcoming new members and it's time once again to discuss "Camera X and lens choices." I've used a D300 with an 18-200 VR for the last ten years and have enjoyed that setup - decent images and a wide reach with the 18-200 which I often have with me be it on a beach, a golf course, just wandering somewhere, or over my shoulder while on a bicycle. After considering the Sony Alpha R II, I've decided I want to buy a D500. I've always thought about getting the 14-24, 24-70, and 70-200 f 2.8 but I don't think (not sure) I want to always carry a bag of lenses. I like taking landscape, birding, and street/people pics, and of also the grandkids who will soon get into their efforts in sports. There are lenses like the 18-300, 70-300, 80-400, and 200-500 as options. Or, the three f 2.8 lenses which will give better images. I do plan on keeping the D300 and along with the 18-200 lens as backup options. So, given all of this (and the desire to continue to get closer with birding and sports pics), what would your recommendations be for the first, second, and third new lenses be to paired with a new D500. Is the 80-400, 70-300, or 18-300 a better carry around lens that is sharp and maybe a good choice or should I begin the collection of the f 2.8 zooms even though I may not want to carry all of them all the time and I still have the D300 with the 18-200 on hand. If you had Bob's camera (and his wallet), what lenses would you put on top of your shopping list? Ok... before you scream, I DID search "watermark" and I got a lot of good answers from that, but one question that hasn't been answered; and just a heads up, I'm probably not a newbie but not advanced either and in some areas, I'm probably intermediate or know nothing but I learn quick sometimes (when I want to) so know with confidence I'm not a total neophyte! Do you watermark across the image (even faded) on a low res? I've read every thread from 2005 to 2013 since that is the last time anything related to watermark has been mentioned other than the new EXIF availability on this forum. 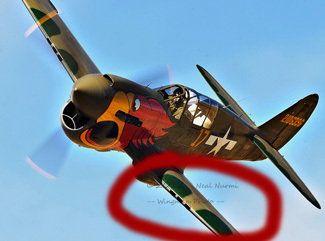 How important is it to NOT throw your watermark across the image or even in the corner "large" but not across the image when it comes to someday selling, Shutterstock and many other sites literally plaster their watermarks right down the middle of their images but they kind of have to otherwise if they don't then many of the stock images are so easy to take without ever paying (such as backgrounds and some portraits or even some scenes in general). I have looked at some of the copyright information even though some of it is old; many of it is still quite relevant so I'm familiar with what to do for the most part in that regards. Lastly... I know nothing is foolproof short of never uploading it. So--members, show us some of your favorite watermarks and tell us why you chose to go that route. 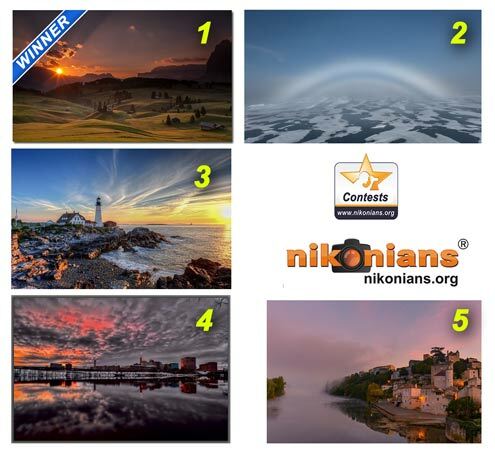 Nikonians Contest Coordinator David Summers (dm1dave) has posted the results of the September contests. Congratulations to our winners! Special congratulations go to Roberta Davidson (birdied) for excelling in two of our categories for September (Macro and Digital Artistry). 1. -- Wildlife "Garden Wildlife" theme winner Donna Knodle (dgknodle), from Michigan, USA with her image titled Common Garter Snake. 2. -- Landscape "Landscape with a single tree" theme winner Russ Glindmeier (russg) from Arizona, USA with his image titled Meadview, Arizona. 3. -- Macro "Liquids" theme winner Roberta Davidson (birdied) from Louisiana, USA with her image titled The Dandelion Seed. 4. -- Travel "Iconic Landmarks" theme winner Henning Bossen (henbo), from Denmark with his image titled Memorial - Reichstag reflection. 5. -- Digital Artistry "Color" theme winner Roberta Davidson (birdied) from Louisiana, USA with her image titled Dahlia Loving Ruby. 6. -- Assignment "Environment" theme winner Mike Rheault (mikerofoto) from Ontario, Canada with his untitled image of Power Lines. "For a sense of what this month's assignment is, I recommend you Google "Abstract Body Photography". It is fascinating, really. The human body presents untold photographic opportunities. Whether you are photographing the entirety of the body, or a part, use your imagination to make the image interesting. Careful use of light, shadows or motion will make the image more abstract. Black and white is often used to intensify the image and make it grittier. The goal of this assignment is not NSFW (Not Safe For Work) images, however, they may be included if they are tasteful and appropriately referenced as such in the title. 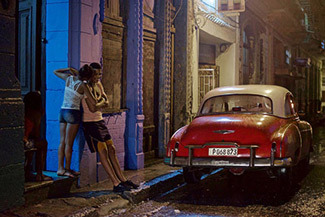 This is a challenging assignment and I hope you all produce some great, wall-worthy images." 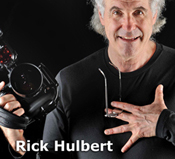 Nikonians Academy Director Mike Hagen is headed to Tanzania for his annual African Photo Safari. He has already scheduled the next Safari for November 2017. We are limiting the size to 12 participants and this number includes your Tour Leader.